Would you like to know what Isaac Newton, President of the Royal Society, was doing on 23 May 1705, or why a consortium of spectacle-makers sent a letter of reproof to the Society on 7 November 1694? 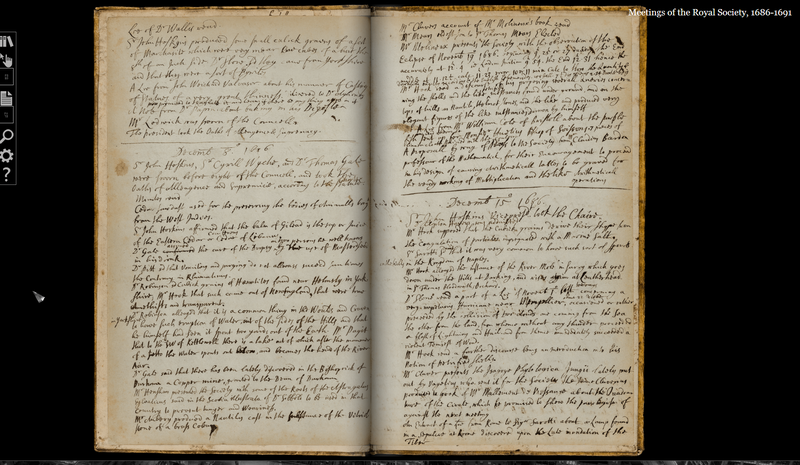 This is now possible, as we are excited to announce that we have just digitised five volumes of the draft minutes of Royal Society meetings taken for Hans Sloane between 1686 and 1711; there’s a full list of the contents at the end of this article. The volumes are displayed as part of our Turning the Pages collection of digital resources.